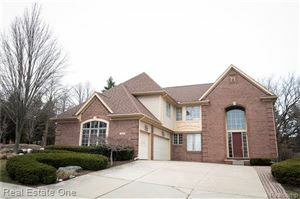 Absolutely Immaculate, Better than Brand New, 4 Bedroom 2.5 Bathroom Colonial in Partridge Creek Village. Large Corner Lot, with Three Car Attached Garage off the Side. Open Floor Plan. Beautiful Kitchen with Marble Counter Tops, Corner Pantry and Large Island, Perfect for Entertaining. Great Room has Built in Bookcases that Frame the Fireplace. Bay Windows in Master Suite and Dining Room. Wrought Iron Staircase. So Close to Partridge Creek Mall for Dining and Shopping You Could Walk There! You Won't Find Another House this Clean and Move In Ready. The data relating to real estate properties on this website was last updated as recently as 4/22/19 1:05 AM PDT.